Andrew Knepley concentrates his corporate and securities law practice on commercial mortgage-backed securities (CMBS) transactions and other securitizations. 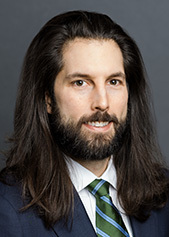 Andrew frequently represents issuers and underwriters in connection with CMBS securitizations, including agency and private label transactions. He has securitized CMBS loans secured by a variety of asset types, including multifamily, office, retail, hotel, industrial and assisted living facility properties. Andrew has experience with securitizations involving hybrid ARM mortgage loans, mezzanine loans and subordinate lien mortgage loans. In addition, he assists asset-backed securities issuers with regulatory compliance matters, including Rule 15Ga-1 compliance. Andrew received his J.D. from the University of Michigan Law School, and his B.A., with distinction, in History of Art from the University of Michigan. He is admitted to practice in the State of New York.